The second largest city in Karnataka state, Hubli forms the agglomerate town area with the city of Dharwad making it the largest urban area next to Bangalore. Hubli is the capital city of North Karnataka and one among the fastest growing city. The city is also called ‘Chota Mumbai ‘being commercially strong. Hubli is also referred as Hubbali which means ‘flowering creeper’ in Kannada. Hubli is often linked with Dharwad which lies around 20 km from Hubli and together they are known as Hubli-Dharwad. In the ancient time Hubli was known as Rayara Hubli or Purballi or Eleya Purvada Halli. 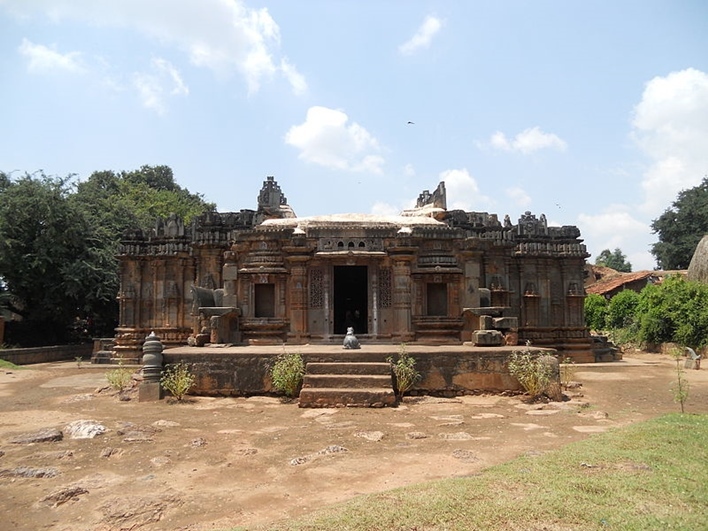 Bhavani Sankara temple and the Jaina vasti were in the Ancient Hubli. Cotton, iron, and saltpeter were largely cultivated here and exported from Hubli. During the rule of Vijayanagara Empire, the city flourished as a commercial space. Later in the 17th century, Hubli was under the rule of the Mughals and then the Savanur Nawabs took over Rayara Hubli and build a new extension called Majidpura. After several years of reigns of kings and the Mughals, and the British, Hubli was rebuilt by Basappa Shettar, a trader around Durgadabali part of Rayara Hubli. After the new Hubli was built Hubli was occupied by the Marathas, then Hyder Ali and again by the Marathas. Later the Old Hubli in 1817 and the New Hubli was taken over from Patwardhan in 1820 by the British. Under the British rule, the new railway station was set up in Hubli and consequently, Hubli became the commercial space and industrial center. Hubli is a major destination in southern India and the commercial center of Karnataka after Bangalore. With commodities like cotton and peanuts grown here in plenty, the city has tremendously grown into an industrial giant city. The city boasts of many big, small and medium industries which contribute to the growth of the economy of the state. Karnataka Chamber of Commerce and Industry is established here to ease the growth of this wide range of industries. Agriculture is also an added feature of the city, which helps in increasing the economy and the lifestyle of the city. With much more companies and trading centers opening here, the city is growing to be one of the popular destinations for tourists as well as entrepreneurs. The place usually has a sultry wet and dry climate all over the year. From February to June the place is hot and dry, typical summer. From June, the monsoon season starts with great humidity and moderate temperature. Hubli, being a commercial hub, is multicultural. A great deal of religious mix can be witnessed here in Hubli like Hindus, Christians, Muslims and Jains. Hence many festivals are celebrated here widely including Navratri, Christmas, Id, Holi etc. Ganesh Chaturthi is one among the popular festivals that are celebrated with grandeur. The main cuisine of Hubli is simply delicious. Jaloda Rotti Oota, Girmit are few popular dishes here. A major destination in the city, the Math was built in the memory of Shri Sidharoodha Swamy who was entombed in this Ashram in 1929. He was against caste system and believed that everyone was equal. The Math was built in the honor of Shri Sidharoodha Swamy. It is a very famous religious institution. People visit here for meditation and peace. Every year there are celebrations conducted which bring in a large crowd. The math is open all day from morning 6 to evening 6. It is a stunning lake that allows tourists to enjoy bird watching and boating. The lake is perfectly located for tourists to enjoy boating experience in the scenic location. Amidst the lake is the statue of Swamy Vivekananda. Many birds can be spotted here which can be spotted from the watch towers on the banks of the river. The lake is big and always has water. It is the perfect spot for a family picnic. Local people can be found taking a walk in the park near the lake. Lord Shiva is the deity here. The amazingly splendid architecture is popular. The temple is around 900 years old and was built in the Badamai Chalukyan era. The architecture is splendid and is completely crafted on black granite. Shiv Rathri is celebrated here with great grandeur. The temple is unique from other Lord Shiva temples as it has twos Shiva lingas and has four doors opening in four directions. The temple is preserved under the Archeology Survey of India. It is one of the public gardens in Hubli that is opened for leisure activities. It has a huge glass covered building. The garden has a similar layout like the Lalbagh in Bangalore. The park contains plants which are flowering, medicinal etc. The grass lawn in the park is ideal for tourists to relax and enjoy. The lawn is the hosting place for many botanical demonstrations, flower shows, cultural programs etc. The glass house contains a unique flower that is contained in the glass house. The hillock is a hiker’s paradise. Locals as well as tourists, find the place alluring. The place provides a bird’s-eye view of the whole city from the top. Nrupatunga Betta is an ideal place to soak oneself in nature during the evening. The hill is surrounded by forest on one side and the Unkal Lake on the other. The paved path is perfect for a walk amidst nature and to watch the sundown. Dharwad is another city located 20km away from the city. On January 1st, 1856 Hubli-Dharwad came into an existence where Hubli became a commercialized city and Dharwad as the center of Learning and Education. Thus, the twin cities came into existence and are becoming the largest city next to Bangalore. Hubli has a domestic airport in the city itself which is well connected to major cities in India for international passengers they can reach these Indian cities like Bangalore, Mumbai, Chennai etc. and then get a connection flight. From the airport, the city is well connected with buses and cabs which they can hire to reach the required destination. Hubli is the main center of Southern Railway network, hence connected with major cities via rail. Tourists can hire a taxi or buses that ply to various other locations in in the place from the railway station. Road connectivity to this commercially acclaimed city is well enough that visitors never find it tough to navigate through the city. Visitors can use the facility of inter-city buses from different parts of India to reach Hubli. KSRTC buses are plentiful in Karnataka which one can take to reach the city.